One of the more popular mobile games to be released in 2014 was the unique puzzler Threes! which came out back in February for iOS, and then later in the year for Android. It should be no surprise that many game developers are looking for a way to mimic the success of Threes, as was the case with other popular mobile games like Flappy Bird. Fortunately, some pretty great games can come as a result of this — but that’s not to say you don’t have to sift through a load of bad knock-offs first. RPSwipe is an upcoming game mobile game that looks quite similar to Threes, and it is being developed by Amidos Games. Amidos is known mostly for their game “Atmoic+” for iOS, which was released in 2013 and had very positive reviews. The idea behind RPSwipe, is to combine the gameplay mechanics of both Threes and the classic Rock, Paper, Scissors concept. Each card on the board has an icon of either rock paper, or scissors, as well as a number. The titles are either red or blue, and the object of the game is to get rid of as many red tiles as possible. 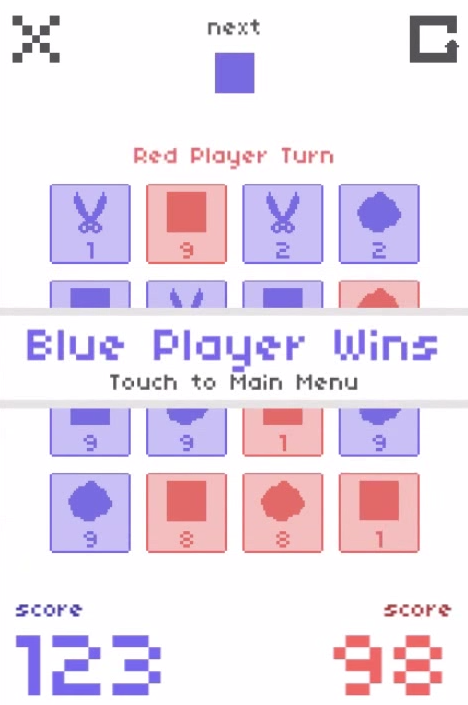 In order to do this, you need to swipe a blue card into a red, or a red into a blue, and you’ll want the blue card to have a higher number — as well as the proper rock, paper, scissors icon that defeats the red card. Players will be able to play two different modes with RPSwipe, Single and Versus. Single player involves you making all of the moves, and trying to calculate everything to get the highest score. Versus mode is different, since an opponent will be trying to take out your blue tiles as you alternate turns. Players can either go against the computer, or another person. Curious about Threes? Check out Pocketmeta’s article about the popular puzzler here! 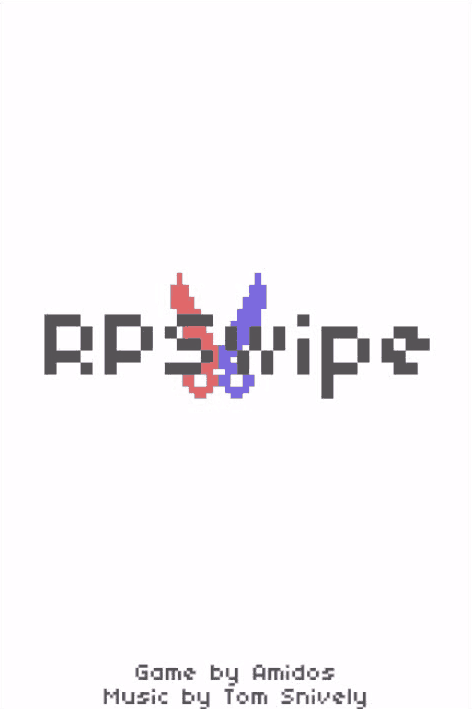 We don’t have a specific release date for RPSwipe just yet, but it seems as though the game is progressing well in development. You can go to the website of Amidos Games for some more information about RPSwipe, and get the most current updates on it’s release and development. RPSwipe will be available on iOS and Android devices, unlike Amidos previous game which was iOS only.